Journeyman Construction renovated the Educational, Teaching and Research Facilities on the second, third and fourth floors of the John Peace Library to create the new faculty hub for the University of Texas at San Antonio. 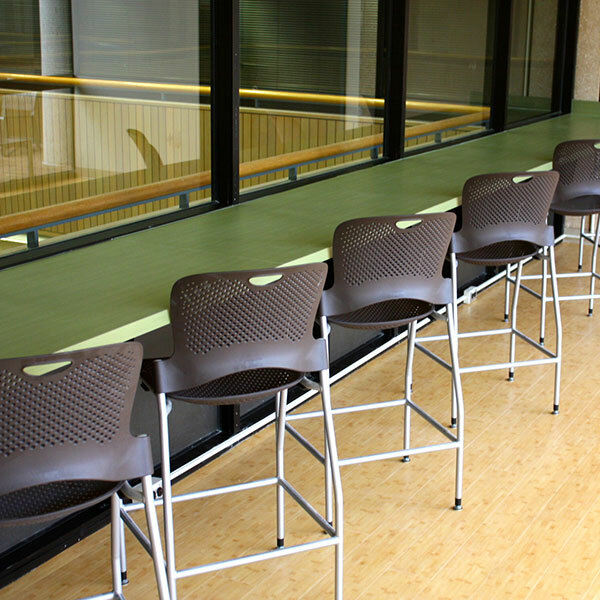 This new fourth-floor campus facility provides a collaborative center with casual seating areas and high-tech meeting rooms for UTSA’s 1,441 faculty members. 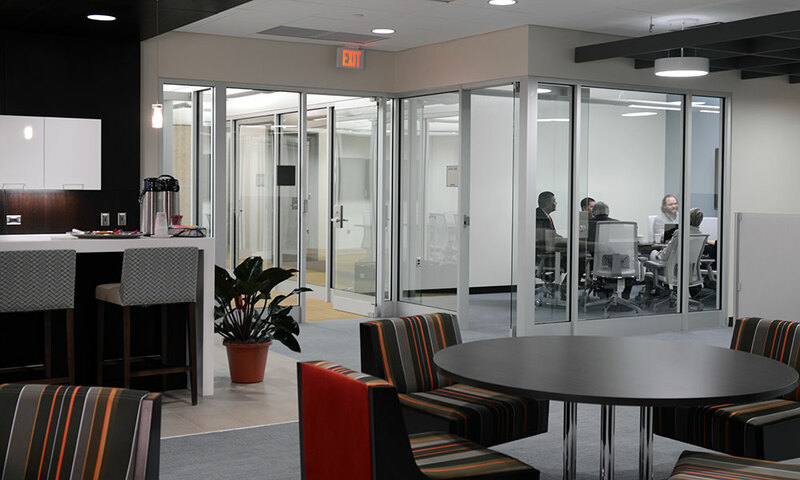 The center also holds work spaces and a digital studio with clusters of laptops that can be connected to large flat-screen monitors for group work that is used to develop adaptive-learning exercises for student classes. Before Journeyman Company could start work, UTSA had to perform asbestos abatement in all areas of the project. 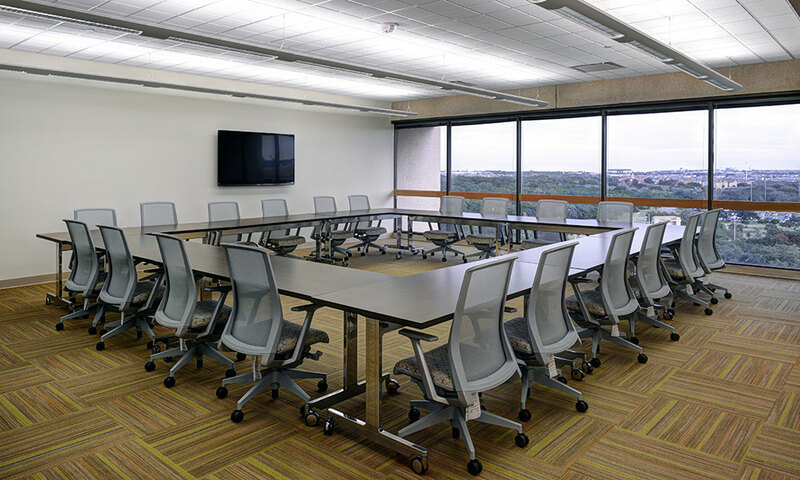 In order for JCI to start work on the second floor, the faculty research area on the fourth floor had to be completed so that UTSA could relocate the staff with minimal disruption to the work schedule. All construction work had to be scheduled around all testing and studying. During the two weeks before finals no noise could be created that would distract the students from studying. 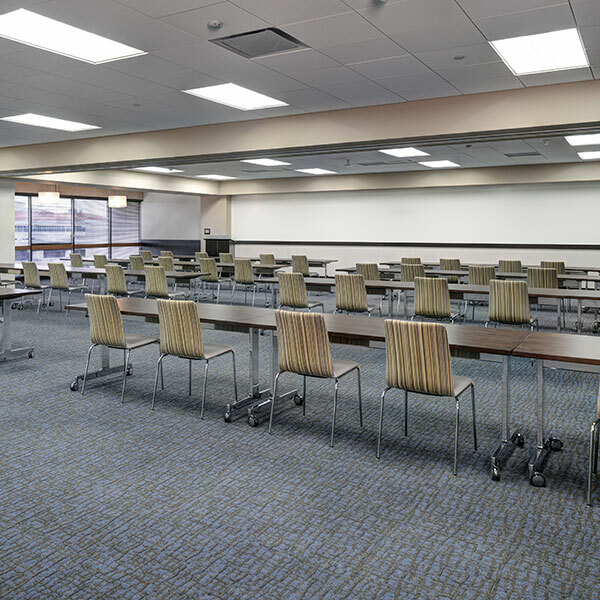 The project included 4,000 sf of raised-access flooring with 22 floor boxes which each support 4 laptops with electrical and their own dedicated data connection. 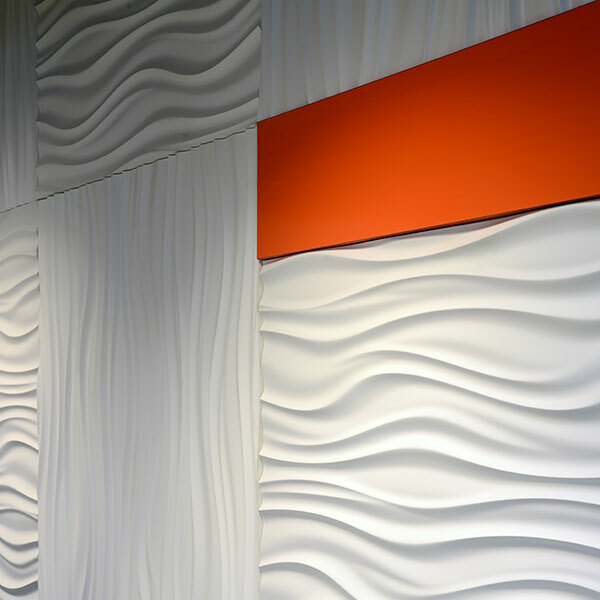 Over 2,000 sf of specialty wave ceiling tiles were installed in study areas, as well as 125 dedicated electrical and data connections.